Do the contentious political climate, financial woes, or everyday demands of work and life leave you feeling a bit frazzled? Check out our list of some tried-and-true, and some truly innovative, ways to chill out. New this year, Coronado SAFE offers free meditation classes on Wednesdays from 9 to 9:30 a.m. at 1009 C Ave., guided by local retired marriage and family therapist, Pat Zanoni. Cupping is an ancient practice mentioned in medical text books as far back as 1550, and even practiced by Hippocrates in 400 BC. But it was in 2016, when celebrated Olympians, such as Michael Phelps, brought home gold medals with very noticeable circular marks on their backs. 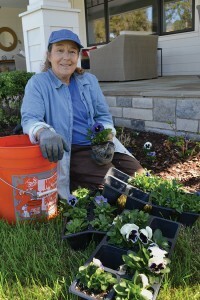 According to Garden, patients can reap the benefits in as few as one or a few treatments. The treatment creates circular discolorations that look like bruises, especially in areas where the body was harboring a lot of tightness. The marks last anywhere from a few hours to two weeks depending on the amount of tension, Garden explained. Cupping therapy is offered at Coronado Island Chiropractic, (619) 865-1053; Discover Well-ness, (619) 437-4900; and Coronado Island Acupuncture, (619) 435-2522. It’s no mystery that the endorphin boost from exercise lessens stress, reduces anxiety and depression and elevates mood, but combine those benefits with the meditative qualities of yoga and you’ve got a winning combo for melting away fat, and the worries that ail you. 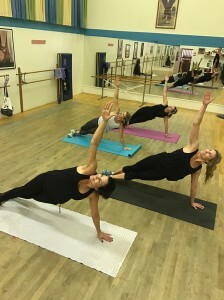 Head to the Coronado Academy of Dance (952 Orange Ave. in the alley) and try a PiYo class, which combines the muscle and core work of Pilates and the balance, flexibility and stress relief of yoga. “The class is a little different each time, but it’s always a great workout. You get the mindfulness of yoga and the muscle-sculpting burn of Pilates,” explained instructor Lanette Perryman. 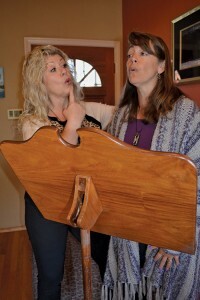 Classes are $10 (first class is free) and held at 9 a.m. Sunday, Tuesday and Thursday. 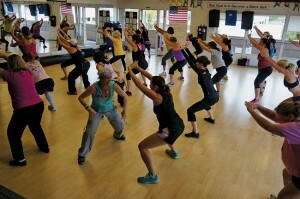 Zumba is a high-energy, choreographed dance-fitness program centered on international rhythms. “We do a lot of different styles of dance like salsa, cumbia, merengue and even country and hip hop, so there’s something for everyone,” said local instructor Shea Hawthorne. Classes are $10 (your first class is free) and cater to all fitness levels. Tuesday and Thursday at 9 a.m. at the Coronado Training Center, 126 B Ave. Creating art can take your mind off what’s stressing you, drawing you into a nearly meditative state, an aspect experts refer to as “flow.” And, the satisfaction of making something new boosts endorphins and alleviates anxiety. Rebecca Bryans took her first ceramics class through Coronado Adult Education this spring. She explained, “When you are throwing clay, it’s very sensory. You just focus your attention on the motion of the wheel. And then your piece begins to take shape and you are amazed to think it all started as a lump of clay. It’s quite rewarding.” Coronado Adult Education classes offer a myriad of ways to learn something new. They’re offered year-round, including summer. Ceramics class sessions of six to seven weeks are approximately $230 plus a $25 fee for clay; adulted.coronado.usd.net. Playing with and/or petting an animal increases levels of the stress-reducing hormone oxytocin and decreases cortisol. Studies have also shown people with high blood pressure who owned a pet were better able to keep blood pressure lower during times of mental stress. The Coronado Animal Care Facility, which is operated by PAWS of Coronado, processes more than 500 animals year, many of which need to be adopted into a loving home. Don’t have the space for a four-legged companion? PAWS is always in need of volunteers. Donate your time as a dog walker and you’ll get the stress-busting, endorphin-boosting benefits of animal companionship, exercise, and giving back to your community. 1395 First St., (619) 435-8247 or pawsofcoronado.org. Gardeners have long touted the therapeutic effects of tending to the soil. Breathing in the fresh air, soaking up the sun (with sunscreen on, of course! ), exerting yourself physically and experiencing the satisfaction of creating something in your garden all boost endorphins and lower stress levels. Not to mention, you’ll have the added health benefits of cultivating your own healthy vegetables and fruits! Need some green thumb guidance? Call the San Diego Master Gardeners hotline. More than 200 extensively trained Master Gardeners — eight of whom reside in Coronado — man the line year-round to help you get growing! 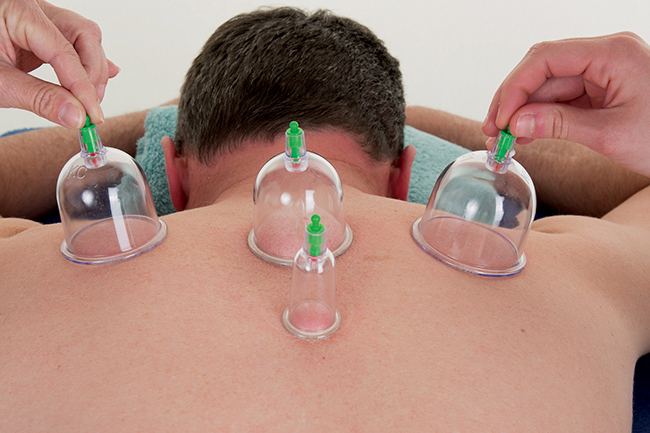 (858) 822-6910, Monday – Friday, 9 a.m. to 3 p.m.
Cupping is a technique that uses negative pressure to release tension and draw out toxins that cause stress in the body. Lanette Perryman leads a PiYo class, which combines the strength training of Pilates and the calming benefits of yoga. 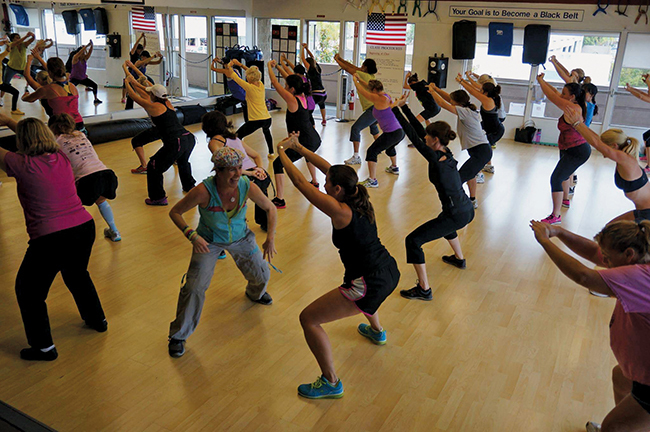 Shea Hawthorne, in blue, leads a Zumba class — a high-energy dance workout that melts away stress. Emily Bosworth, right, with voice coach Diane Alexander, finds singing “yoga-like.” Bosworth is president of CorArtsEd Foundation (formerly CoSA Foundation). 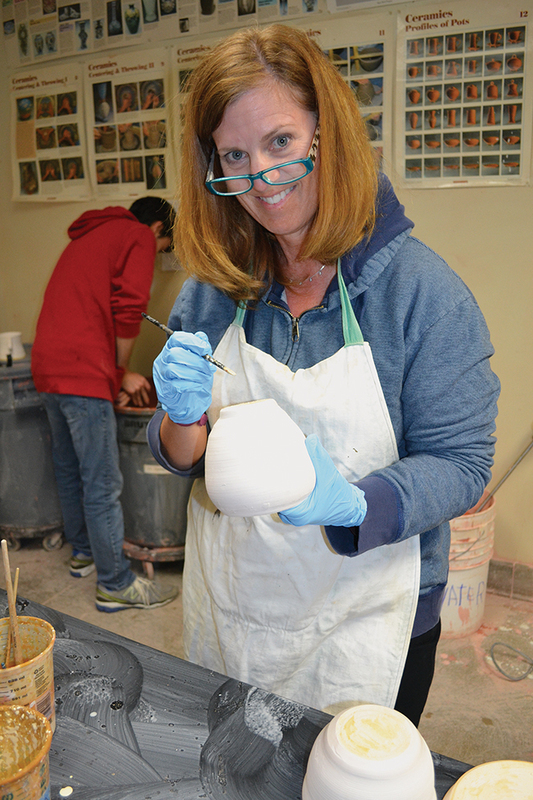 Rebecca Bryans enjoys a ceramics class through Coronado’s Adult ROP program. Registered veterinary technician Raquel McNaughton holds three puppies for adoption, Rose, Valentino and Candy at the Coronado Animal Care Facility. Pam Sanders, owner of A Passion for Garden Detail, tends to a client’s garden in the Country Club. Coronado Lifestyle, the “little magazine with the BIG impact” serves residents and visitors of Coronado, California. It is distributed by mail to all residents and businesses and also stocked at high traffic visitor outlets in the city of Coronado.